Cobalt drill for Stainless Steel and tough materials. Tungsten drills for Cast Iron and GRP. Tungsten Tipped Drills for Cast Iron and GRP. 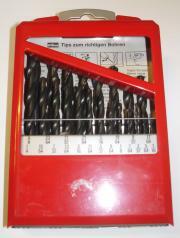 Drill Sets HSS, Top Quality.